AUSTRALIA’S goat meat market supply chain faces challenges, despite positive export prospects, Meat & Livestock Australia’s latest Goatmeat Global Snapshot has indicated. The snapshot showed that persistent dry conditions and reduced supply led to Australian goat meat exports in 2018 decreasing to their lowest levels since 2008. The Goatmeat Global Snapshot, which provides insights into the opportunities and challenges for the industry, showed the value of Australian goat meat exports totalled $182.6 million in 2018, down 29 percent on 2017. 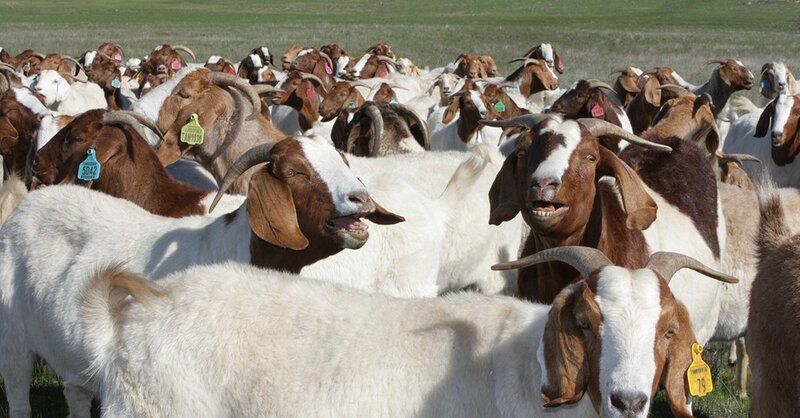 MLA goat industry project manager, Julie Petty, said despite the decrease in supply and Australia accounting for only 1pc of global production, Australia remains the largest exporter of goat meat. “Australia exported approximately 90pc of production in 2018, with exports totalling 21,026 tonnes shipped weight – a decrease of 26pc from 2017 levels. “The United States received 68pc of our exports, with Taiwan, South Korea, Trinidad and Tobago, and Canada also representing important markets,” Ms Petty said. Ms Petty said while the prospects for exports are positive, challenges remain in key markets. “Goat meat is widely consumed globally, but remains a niche protein in many markets. “Per capita consumption of goat meat varies greatly between countries, with culture and local production being major factors influencing diet,” she said. Ms Petty said the Australian goat meat industry has seen substantial growth over the past two decades with production tripling since the turn of the century, underpinned by export demand and solid prices. “Goat over-the-hook prices have steadily increased over the past few years, from 371c/kg cwt at the start of 2015 to a peak of 683 cents in July 2017. The publication of the Goatmeat Global Snapshot this week is the latest in the Global Snapshot series to be released by MLA, following the release of the Beef Global Snapshot and Sheepmeat Global Snapshot in January. To read the snapshots, click here.